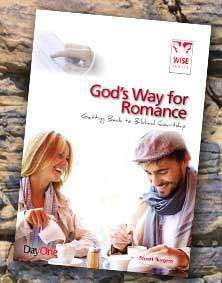 If you struggle, or have struggled, with being single, you’ll know there are certain situations, and certain times of the year, which are particularly hard, and where our hearts are especially susceptible to being deceived. It’s important to recognise that there’s nothing wrong with finding things hard; let’s be real and honest about how we feel. But the crucial thing is what we then do with our pain and our struggles. Giving in to self‐pity, envy of others, and/or bitterness towards God is a huge danger for all of us—because it is what the devil will encourage our hearts to do. We need to be aware of what is likely to throw us; what the “triggers” are likely to be for us; so that we can take pre‐emptive action, speaking truth to our hearts rather than listening to his lies. A lie I might listen to: God doesn’t want me to be happy. God hasn’t given me a husband because he doesn’t really care about me. Bad Solution 1: Grit my teeth and bear it. Look happy on the surface, while wallowing in my unchallenged envy and resentment underneath. Bad Solution 2: Conclude that the only way I’ll be happy is by finding a guy… so I need to get myself a guy. A truth to tell myself: God has given me every spiritual blessing in Christ. He chose me before the creation of the world to be his, and to be loved in his sight. He has made me his child, through faith in Jesus (from Ephesians 1 v 3‐5). He isn’t keeping good things back—I can trust him because of what he has done for me and has given me. A lie I might listen to: Without a husband I am insignificant. Everyone else thinks so—so it must be true. Bad Solution 1: I’ll keep doing my duty until God gives me what I deserve. Bad Solution 2: I don’t like feeling like this. I need to walk down an aisle myself, or at least to have a man on my arm next time I’m invited to a wedding. That’s my top priority now. A truth to tell myself: Whatever else I have, or could have, is worth nothing compared to the surpassing greatness of knowing Christ. He is worth losing anything for. What I most need is what I already have: Jesus (from Philippians 3 v 7‐8). Husbands may look perfect on their wedding day, but they aren’t. They couldn’t satisfy all my longings, now or eternally. Only Jesus can: so I need to turn to him in my heart, not away from him. I think this can be particularly hard as we approach our forties and the reality that we might never have our own children begins to hit home. Having children is likely to be something, like marriage, that most of us have longed for and have just expected will happen at some stage. We may find ourselves surrounded by women who seem to talk about their pregnancy, babies or children all the time… which can just feel like salt is being rubbed into the wound. A lie I might listen to: I am unfulfilled as a woman if I don’t have children. Bad Response 1: Thinking I have been a “good girl”, I deserve children a lot more than many of the people God has given children to… I will avoid people who have children. Bad Response 2: It is my right to have children and I need children, so I will do whatever I can to make sure I get what I “need”. A truth to tell myself: I need to trust in the Lord with all my heart and not rely on my own understanding. As I acknowledge his Lordship, he’ll guide me on straight paths, whatever they may be (Proverbs 3 v 5‐6). Having a child won’t fulfil me. If I place all my hopes in having a child, even if I ended up with one I would crush them with my expectations and demands. If I cut myself off from everyone with children, I’ll cut myself off from enjoying life as an auntie to church families. I need to delight in the Lord and follow him, and enjoy the children he has given me to know, love and pray for. 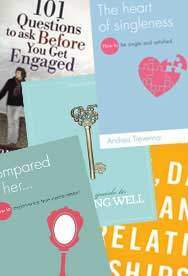 We may feel that married couples always have each other to go away with; it isn’t always straightforward for us as single women. It might not be easy to find people to go away with and to make holiday plans generally. In the back of our minds it’s a romantic holiday for two that we ultimately dream of. Any other holiday can feel like second best to us. A lie I might listen to: I’m all alone. Bad Solution 1: Not to really value, pursue or invest in any relationships in the church family, to be cold and distant, just going through the motions; after all, I’m passing the time until I “get my husband”. Bad Solution 2: My dream romantic holiday requires me not to be single. Being single means I’m missing out; so I need to get a man. A truth to tell myself: There is nowhere that I am, that God is not with me through his Spirit. If I go to the heaves, or the depths, or the far side of the sea, God is with me, guiding and holding me (from Psalms 139 v 7‐10). I am never alone. When I feel lonely, I need to ask Jesus to make his presence more real to me; not to turn my back on him and seek company elsewhere. And I need to ask him to help me trust that he is right there with me, even when it doesn’t feel as though he is. This is one of those times in the year when single women can end up feeling like failures, like sad spinsters who just don’t fit in. In our worst moments, we have nothing but the image of how it was “meant to be” in our heads. We picture everyone else’s home as including a happy couple, kneeling by the tree, hand in hand on Christmas morning watching their beautiful, grateful, perfectly behaved children opening their presents. A lie I might listen to: I don’t belong or fit in anywhere. Bad Solution 1: To refuse offers of hospitality to spend time over Christmas with other families, bitterly thinking: “I don’t want pity or charity; I want my own family or nothing at all”. I decide Christmas will be miserable, and get on with fulfilling my prediction. Bad Solution 2: To numb myself to the pain—look to the worlds answer to having a good time for comfort And get drunk, get high, sleep with someone. Anything that makes me feel like I belong. A truth to tell myself: When Jesus was told his family were looking for him, he said his real mothers and brothers were those who do God’s will (from Mark 3 v 32). I belong in a family that is loving, that looks out for me, that welcomes me, and that I will be blessed by as I love and look out for them. I belong in my church. 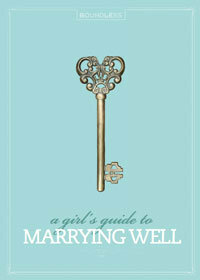 Andrea is the author of our March, 2014 “Book of the Month”: The Heart of Singleness.